Anyone can takeoff, can anyone land? Oh prototypes. We love them, clients love them, users love them. They help with requirements and sometimes help us answer architecturally significant questions. But early success creates a false sense of security. A successful prototype that a senior manager or a customer loves cannot always be operationalized in a matter of days or weeks. If fundamental quality attributes of software have not been thought through (e.g. security, scalability, performance, etc.) it's impossible to add that on later. Solution? Manage the expectations of your audience. Explain the limitations before they see a demo - and discuss next steps right after prototype presentation. Developing software intensive solutions without thinking through architecture is like taking an airplane into the air. Anyone can take off, but only pilots can land. On what dimensions may the discipline of software architecture change over time? Here is what the thought leaders in the field put together during the IFIP Working Group 2.10.
codification and socialization—processes by which an architect communicates architectural ideas to stakeholders. Codification refers to specification of the architecture, while socialization refers to the less formal processes by which the architecture is internalized. Socialization can happen through conversation, training, and so forth. Codification and socialization are complementary processes; they should enforce each other. 0—Codification and socialization do not occur. 10— Codification and socialization are in balance with each other; socialization becomes a process for codification; socialization and codification enforce each other and work in a global environment. 0—There is no consensus on quality attributes. 10—Quality attributes are linked to business and engineering needs and are quantitatively specified. 0—There is no support for architectural automation; description consists of human language on paper. 10—Language for architecture is the base language for automation. 0—Reasoning is limited to specific elements (hardware, network, software, etc.) and the relationships known by the architect. 10—Architects employ reasoning about guidelines, constraints, quality attributes—self-adaptive systems. 0—There is no explicit recognition of responsibility. The worst case is having responsibility and no authority. 10—A clear definition of responsibility and authority exists for the architect’s role. Responsibility is sufficient to deliver the function and quality attributes of the system to its stakeholders over time. 0—Architects have no explicit training, no career path, no formal explicit recognition, no experience threshold (relating problems to domain, development, implementation, failed, organization, etc.). 10—Architects are chosen intentionally for their ability. 0—The architect has a one-track mind. 10—The architect is pragmatic and inquiring—able to organize information. 0—Diverse solutions and techniques exist, but the choice is arbitrary. 10—There is a clear linkage between architecture goals and the choice of process and techniques. technology dependency—Technology is a tool. 0—Architecture is constrained by the existing technology. 10—Architecture is fearless, specifying the abstract solution without necessarily any bindings to existing technology. Architecture is not constrained by existing technology. A fearless architecture is one that might influence future technology. 0—No previous solutions are reused. 10—The solution already exists (not accounting for the details)—looking at previous solutions and reusing them. 10—Architecture is produced for complicated and complex systems with emergent behavior. 0—A single discipline is fully understood (e.g., information architecture, enterprise architecture). 10—Multiple disciplines are fully integrated. Stakeholders’ perspectives are met. The idea of using a Wiki to manage coordination and artifact development as part of your software development is not new. The concept and tools have matured to a point where even the most monolithic organizations involved in development of large software intensive solutions are using this. The goal of using a Wiki is simple: keep artifacts current through collaborative ownership. The multitude of successful open source projects using a Wiki based approach is the best justification why a community based approach works. Additionally, a perspective from academia centric sources, with associated analysis, will help you build a business case. Experience Using the Web-Based Tool Wiki for Architecture Documentation (thorough and free report based on actual project experiences - SEI). Blurb. What's a good example of a software solution where portability is a paramount design quality attribute? Tethering software for mobile phones. PDANet, an application developed by June Fabrics, is a good example where designing for portability is a top design concern. PDANet enables PDA owners to convert their device into an Internet connection. It's hard to say if the talented folks at the June Fabrics initially planned to expand their PDANet software to other mobile OS vendors, but this application is a prime example where portability matters. Currently PDANet supports Android, Palm OS, Windows Mobile, BlackBerry, and iPhone. While the operating systems are fundamentally different and provide different level of services to developers, the architectural drivers (i.e. architecturally significant requirements) and the general purpose of the devices is the same. Therefore the logical allocation of requirements to solution modules should be the same across all operating systems. However physical implementation would be different for each OS. This is another great example where the benefits of software reuse come not from source code reuse, but from the reuse of software architecture artifacts. What is the impact of organizational politics on software design? This is a question I raised three years ago in this post and the time has finally come to attempt to answer that question. We, as software solution stakeholders, make conscious and subconscious decisions that have a profound long-term effect on the usability, maintainability, cost, security, implementability, any-ility of a software solution. But how often are these decisions based on our personal and career motivations? Are we aware of this? Is it a good or a bad thing? If my career is centered around a certain vendor (e.g. Oracle and Java) should I or even can I viably consider technology from other vendors (e.g. SQL Server and .NET)? Would I have enough technical knowledge? If you have an immediate thought on the impact of organizational politics on software design please leave a comment. And look for a formal invitation to fill out a survey in the very near future. Paul Graham is an essayist, programmer, and programming language designer. If you haven't read his essays on programming and software engineering you should consider. His latest essay on Apple's iPhone store is a good read on how business models that work for product n may not work for a product y. In this case Apple is treating iPhone apps as if they were iTunes songs, and Apple being the broker between the consumer and software producer. The nature of the development process of the iPhone apps requires frequent, if not daily, iteration of software releases, while Apple favors a lengthy review cycle before an app is published in its stores. What will it take for the developers to switch platforms? When will Apple become the evil empire? You can find the latest essay here and the rest of the essays here. We're in the business of software. That's why we all care, directly or indirectly about its pricing. Pricing affects everything - our salaries, benefits, profit. We also care about pricing because we're all are buyers of software (COTS, GOTS, development tools, etc.). And of course with respect to computer systems the cost of software exponentially outweighs the cost of hardware. The new book, Don't Just Roll The Dice - A usefully short guide to software pricing, is a quick read, mere 84 pages, raises the right questions to get you thinking. "How do you price your software? Is it art, science or magic? How much attention should you pay to your competitors? This short handbook will provide you with the theory, practical advice and case studies you need to stop yourself from reaching for the dice." Download a free copy here or get an a physical copy from Amazon. It's easy to forget that the software engineers on your development team are also your stakeholders. They need a particular view of solution architecture in order to understand how they fit into the development ecosystem. Expect to be challenged. As you walk through your vision or proposal for how a solution should be analyzed and architected be prepared to field questions from developers. More importantly, be prepared to answer those questions from developer’s point of view using terminology and analogies they understand. Since software architecture concepts deal with systemic issues of a software solution that extend beyond the routine scope of a software developer, be prepared to also educate developers on why it’s important to evaluate and address crosscutting solutions needs. You’ll have to demonstrate why a software architecture centric view is necessary and why a given approach (e.g. concentrating on architectural drivers early on) best suits a given situation. And of course the tone of your voice, your presentation style, and the pace of your communication with the development team must take into account the individual needs and backgrounds of your team members. Remember that the software engineers on your team are also your solution architecture stakeholders. Need experience planning for and executing a long term project? Run a marathon. This thought came to me on mile 21 of the Marine Corps Marathon that I ran and finished on October 29th, 2009. Planning, training for, and running a marathon is similar to executing a long term successful project. Both activities require superior commitment, strategic planning, progressive results, and a clear goal. A marathon is different by definition - it's a solo event. However there are some points of interest. - Goal. For a marathoner a goal is clear - finish the race in a given time period. A successful project must have a clearly defined goal that can be achieved and measured. - Planning. Superficially it may seem that planning for training is easy. However poor planning will prevent you from training properly. And you won't be able to catch-up later (an equivalent of Fred Brook's motto of adding more people to a project that's already late will only delay a project). Long runs must be planned - including a day before and runs during the week. Planning for a long term project has the same demands. One must think through the milestones and deliverable artifacts along the way, as well as software development process that's appropriately tailored for your approach. -Executing. Training (running) is what builds endurance, muscle, and mental capability to actually finish 26.2 miles. Concrete progress, evolving architecture from cartoons to formal documents, core code base that iteratively grows and aligns to design (plan), is the foundation of the final product. - The race. The actual race is your test of how well you planned, trained, and executed over many months of preparation. The process of deployment to production and a cut-over (or roll out) of a system to users is your mile 10 of a 26.2 mile distance. The other 16.2 miles and how well you enable the system to handle it will be demonstrated over short time while the system is in production and used by actual users. Few people have the opportunity to be in the leadership circles of long term (2+ years) software intensive projects, but it's precisely that experience that enables us to understand the fine nuances that dramatically affect design of systems architecture. Identifying and addressing soft architectural drivers in your architecture designs is essential since it's often the organization and not the technology that places the greatest constraints on an architect. I can't guarantee that training for and running a marathon will make you better strategist or a better architect, but I guarantee you'll have plenty of time to think about this topic when you train and when you run the race. In a recent Software Engineering radio episode Markus Voelter in his interview with a guest described complexity as energy. More specifically he talked about the law of conservation of energy (energy cannot be created nor destroyed, it can only be transformed). The topic of complexity can be viewed similarly. By addressing some nuance of complexity in a project (e.g. growth of a team) we're applying tactics (e.g. hire a manager) that may solve the issue of coordination, but introduce the issue of bureaucracy. We have come to accept these unattended consequences (or collateral damage) as a fact of life, but it's good to remind ourselves to question why we choose one tactic over another. Some of our "trivial" decisions are binding with no undo button. As a software architect one must see a forest and not just trees. As a Firebrand Architect® one must see an ecosystem and not just the forest. "To Rebuild Windows, Microsoft Razed Walls " is the title of an article in the October 20th 2009 edition of the Wall Street Journal. There is something interesting about Microsoft's software development approach taken for Windows 7. The article attributes the perceived initial success of Windows 7 to a different, more humble, approach taken by Microsoft and the Windows 7 team. While the quality of the operating system is yet to be determined by the real world tests it appears that the design and execution of the product was different. "A key problem was that the Windows team had evolved into a rigid set of silos—each responsible for specific technical features—that didn't share their plans widely. The programming code each created might work fine on its own, but cause technical problems when integrated with code created by others." This article exert contains a key observation. Operating system development can be viewed as a set of semi-independent silos united by a kernel. But it appears that the demand for effective integration of various operating systems components is essential for successful end-to-end experiences. And this is the key - Vista was not developed with the user's end-to-end perspective at all stages and that resulted in what we have today. For Windows 7 Microsoft appears to have taken a different approach. And while the article doesn't use the words such as "architecture" of "design" it appears that Microsoft took a user and architecture centric approach to unify the work of all developers under an umbrella of clear objectives (which probably translated into specific quality attributes). For example, "An important new objective called "quieting the system," which sought to minimize windows and dialogue bubbles—such as security warnings—that pop up on screen during the normal operation of the PC." Another key feature of the operating system is a touch-sensing function that adapts to user's strokes and does not simply mimic a mouse. It's clear that a number of cross-cutting features were implemented in the operating system and initial response to the quality of software has been favorable. It appears that highly collaborative engagements with an end-to-end perspective were enacted as part of the software development process; a known design approach finally taken by Microsoft at the operating system level. You may find a link to the article here (available for about two weeks). An architect role is a leadership role - that's a fact. Your leadership style and your capability to lead will enable or cripple your team. There are many leadership gurus with thousands of books on the subject. For the purpose of this post and to keep things simple I'm using John C. Maxwell's five levels of leadership strucutre. I've been to his lecture and I like the simplicity of his approach. John's repertoire of books is significant (johnmaxwell.com), but at its core the following structure stands. Level 1. People follow you because they have to. Level 2. People follow you because they want to. Level 3. People follow you because of what you have done for the organization. Level 4. People follow you because of what they have done for them. Level 5. People follow you because of who you are and what you represent. The first level is self explanatory. At the second level your leadership depends on the relationships you build with the people. At this level you're connected and engaged. As John Maxwell says: "you listen, learn, and lead - constantly." At the third level you're clearly demonstrating how you improve the bottom line. People see the results and performance that's the result of your leadership. You add clear value. At the fourth level you're developing other people to be as effective as you are in leading others. People are attracted, because they want to be like you. Loyalty becomes very strong. The last level, achieved by few in life, is given by others as a result of your lifetime achievement as an effective leader (think Gandhi, Churchill). Watch for future posts on how to grow your level of leadership. Simply by having an "architect" word in your title or role description automatically puts a heavy burden on you. Automatically people will assume, and rightfully so, that you have the responsibility of gathering and synthesizing information and making early design decisions. Your colleagues and stakeholders will expect guidance from you - well before and after the official software design phase commences. As an architect you should be very well aware that you're under a spot light at all times. Nobody will ever tell you that the right time has come to start architecting. If someone has to tell you that now is the right time to start architecting it means that you're not paying attention. There are, of course, times when it appears that no action is required. For example, requirements are too fluid and insufficient to start designing, or a business case for a solution has not yet been well defined, or perhaps the funding has not yet been approved. The times of uncertainty are the times when the rest of the organization / team needs you the most. As an architect, or rather as a Firebrand Architect, you should take initiatives to position the flow of the project / solution to enable you and the team make disciplined rational decisions. If you take the initiative, then you control the pace of the development. This does not mean that you have to fight for control with marketing or the R&D group. This means that you need to proactively monitor the environment and understand how the ongoing developments will constrain your downstream design space. For example, if the requirements team is struggling with analysis try to evaluate if they are diving into details too soon. User your software engineering skills. Perhaps they are lacking a coherent vision document, lack requirements gathering structure, or simply lack resources. Determine if you can provide high level help based on your previous experiences. In the case of writing a business case you can provide insight of how this type of a solution would blend with existing systems and help determine time to market. If you control or influence the pace and flow of your project progress before and after the software design phase you maximize the design surface area with which you can work to create software that's fit for purpose when the official design phase commences. It's truly inspiring to speak with young graduate students who passionately feel about positively changing the world. This week I was asked to join a small team interviewing graduate students (Carnegie Mellon - Heinz College) who are seeking employment in late winter or late spring to put their degree to a good use. On my journey to Pittsburgh I was wondering if this trip was the best use of my time. On the way back I realized that I learned from the students as much as they learned from me. This was time well spent. Design patterns are used for solving a specific known (routine) problems using a prescribed approach. For architects the patterns are the building blocks of the systems we create. An architects needs to have a working knowledge of a diverse library of patterns spawning various levels of granularity and applicability relevant to his or her domain. It's important to note that all patterns fit somewhere on the spectrum of design decisions. All patterns can either be refined by lower granularity design patterns or rolled-up into larger patterns. However there are exceptions to these rules impacted by strategic vision and availability of resources (constraints). This is what makes architecting fun. Five years ago I architected and (with a small team) implemented a COTS centric solution (Microsoft and ProSight technologies). The design process was supported by clients and all phases of SDLC were executed well. Architecturally significant decisions were made based on factual findings. For example, after an evaluation of enterprise environment we concluded that the necessary bandwidth required by COTS software wasn't available and a decision was made to allow select user groups to access software directly on a server via a remote desktop connection. Other user groups would use web interface for simpler tasks. We estimated the number of users, application load cycles, data call spikes, etc. 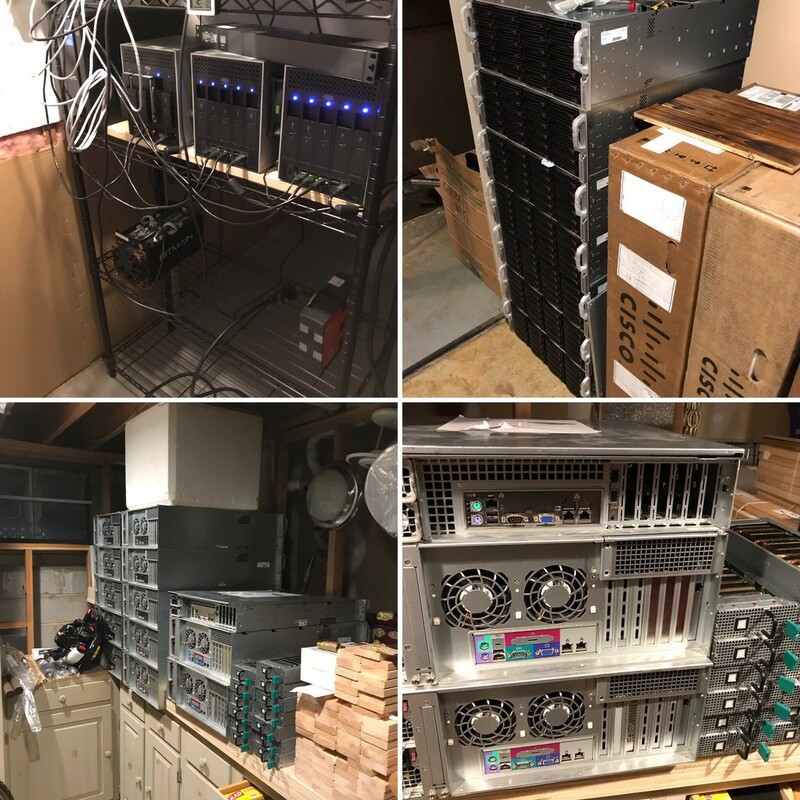 In the end we crafted a seven sever solution with load balanced web front ends, separate logic server for data crunching, and a set of very powerful database servers (in 2005 fully loaded HP ProLiant 570 were the best of breed). At UAT the solution surpassed technical and usability expectations and was well suited to handle over 3,000 users. So why is this solution (still actively used) not fit for purpose? Because the number of actual users is in the hundreds and not thousands. The client over estimated the adoption rate of the solution. The next year the business processes changed and the organization chose not to invest into reconfiguring the solution to enable the full 3,000 users to use it. On a surface it appears that the architect is not at fault. But should the architect thought about user adoption? Should the solution have been designed with fewer servers from the start? In this case the risk of building for max size was the right choice, because this organization is large and slow moving. Procurement takes months and budgets are often unpredictable. Without knowing the history of this solution it's clear that this is an overkill and the solution is not fit for purpose (waste of computational resources). A potential way out is to scale down through virtualization, but of that's a story for another day. What exactly is "fit for purpose"
Firebrand Architect® adopted the "software fit for purpose"™ mantra for a very good reason. It's the architect's job to make and bear responsibility for decisions that can make or break a software solution. Of course an architect is not the only factor in the success of a solution, but clearly early design (and approach) decisions come with high cost. Deciding on what's fit and what's not fit, and how to reach the right balance, is a subjective and difficult question to answer. This is why software architecture (and various other flavors of IT architecture) will always be part science and part art. This is why there will be more and more architecture specialists (e.g. security architect, performance architect) over time as complexity of software solutions (or rather system of systems) grows. And this is why architects of all flavors need to have a well rounded understanding of the operating environment - including human aspects. In order to convince oneself that something is the right fit takes discipline, experience, knowledge, and willpower. Having the willpower to question your own decisions as well as decisions and positions of those around you is a quality of a person who is a Firebrand Architect®. Ensuring the creation of software that's fit for purpose requires pushing the limits of the ordinary. It's a quality that doesn't come easy, but it's a quality that can be developed over time. The important adjective here is the word "right." It's the right balance of requirements, constraints, patterns, decisions, and construction approaches that enables the creation of software fit for purpose. Striving for perfect or best is not a viable approach in most situations. See next post for an example of a solution not fit for purpose. This is not a "how to" post, but a reminder to build in time for client and customer education on software engineering. There is only one person in this world that thinks exactly like you, and that's you. Everyone else around you, even your long term colleagues, have a different perception of problem, solution, and approach even if you work well them. 1. Build time (directly or indirectly) into your project to educate your clients and customers on the discipline of software engineering and software architecture. You'll have to spend time convincing them that a disciplined approach to creating software is not a choice, but the way of life. 2. Create a mini curriculum, or at least talking points, ahead of your engagements with clients and customers. You need to be proactive in your education sessions and they always should be done in the context of a specific business problem or a solution you're working on. If a client or a customer has real world experience with enterprise grade software development or implementation you must gauge past experience. On a positive side a client may be receptive to your disciplined approach. On a negative side, if a client had negative experience, you need to understand client's perception of the software development process and demonstrate how your approach is better. And most importantly - pay attention to the right approach. Selection of agile or highly structured software development processes and degree of requirements elicitation and software architecture analysis differs from problem to problem. Understand your client's situation and explain why your approach makes sense in a given situation. As an architect you’ve been tasked to come up with a business and technology solution. Where do you start? You probably have a lot of ideas and concepts in your mind. The best way to get started is to offload your ideas and concepts into a list – or better yet on paper or whiteboard (or Visio). As you dump ideas down you’ll be tempted to expand and link the concepts right away, but first concentrate on writing everything down. The next step is to create a “back of a napkin” business perspective of your solution. What are the key components and functions? Perhaps a shopping cart, an inventory management thingie, a brain to pull it all together, and a payment processing element. Use whatever media you’re most comfortable to quickly sketch a business architectural cartoon. Show how things are linked. Allocate all elements from your list at this stage. The disciplined part of you may be tempted to think about decomposition using proper architectural perspectives (static, dynamic, and physical views). You may be thinking about the meaning of links between boxes. This will come later, but you’re still at a very creative stage. Keep on moving. Next, create components that would implement / support the business elements and sketch them in the context of your existing operating environment. Again, draw loose associations between existing systems and your components. Now go one level down and decompose each of the components into sub elements (if appropriate). In my most recent exercise I used a standard sheet of paper cut in half as my work space. As I created sheets I numbered them in sequence of creation. This allows you to spread them on a table (or tape to a white board) without the fear of forgetting your chain of thinking and decisions. Put the resulting stack of sheets away for a few days. Now you have enough material to create a discussion document. Use your favorite diagramming tool to create a presentation that’s targeting proper audience. Be sure to remove highly technical material out of the presentation targeting non-technical stakeholders. Few software engineers and software architects have the privilege of being meaningfully involved in so many initiatives that they see the big picture of where the organization is going. This does not apply to all architects and all organizations, so this tip is for large organizations. If your organization is using consultants to help on various projects you should consider tapping into their experiences for a big picture perspective. Yes, they will ask you to fund the time they spend gathering the data and creating a presentation, but the insight may be worth the time and money. It’s always very beneficial to have a third party provide feedback on the elements you don’t have time or ability to see. Caveats: only work off the existing trust level. If there is no trust between you and a consulting group you won’t benefit from provided insight. Pay attention to the recommendations and the consultants’ line of work – they may be consciously or subconsciously selling you more work (and you should expect them to do so). Reflect on the findings and synthesize with your current and future activities. This may be a good time to review your organization’s strategic plan and objectives (if it exists). Conway's law: "Organizations which design systems are constrained to produce designs which are copies of the communication structures of these organizations." Being a firebrand architect at times requires assuming control of a situation even if you are not the primary owner of a project or an initiative. It often means taking on more responsibility than you expect just so that you can do your job later. Imagine a coordination teleconference between twenty people from over a dozen different IT and business functions. The objective is simple: move a server from one domain onto another without breaking the existing solution on that server. Everyone on the call plays a role and an agenda unifies the participants for the duration of an hour. However no progress takes place - the current executive owner of the server gave a green light for migration as long as his technical team is comfortable. Yet the technical team (two developers) lack the enterprise wide knowledge to fully explain what services, data, and support they need and how their solution has been setup. In this case a COTS based application reaches out to various data sources and allows end users to analyze the data and create reports. As a firebrand architect you need to understand your objectives (in this case you would use a portion of the target server as a resource for another project) and assume control of the situation. Since you'll be sharing the resource with a team that lacks the technical know-how to make a migration, it's to your advantage to offer them help for "free" in order to get assurance that the target resource will be setup and configured right. To do this, establish your credibility. Demonstrate to the group that you understand the big picture. Volunteer to help and follow through. This requires working with the owners of the application to reconstruct the architecture of the existing solution and understand the existing interfaces, the enterprise resources, and future needs of the project. Research and evaluate migration approaches. Understand the resources in the new domain to ensure that all needs of the same server and its application are met. Then lead the coordinate the migration effort. Taking control will consume your time, but in the end you'll know that your target environment will address your needs. Just as importantly during this exercise you'll build a relationship with the colleagues who are sharing the server with you. And that's a great way to start cooperation when shared resources are involved. Whether we want it or not, we, as software (solution) architects have to specialize in a bounded business domain and a bounded array of technologies. The required depth of knowledge depends on the type of architecture work you do. While finding the "golden balance" is an obvious observation, a helpful reminder for you is to review your "golden balance" once every quarter and don't be afraid to re-define what you mean by your balance. It's natural for people to change - some become more specialized and technical, others pull up and specialize in a macro view. If you move a lot between low level and high level architecture you'll experience "turbulence" - and that may be OK if that's how you define your balance. Having worked for two startups I was not surprised to see glass enclosed server room positioned prominently to the side of the main work area. After all this a customer centric facility where select Microsoft customers are invited to spend time with the best and the brightest Microsoft hands-on technologists. But it was not the stacks of the latest hardware with its neatly tucked cables in dust free racks that impressed me. Not even the myriad gizmos such as a touch screen HP's desktop and a Microsoft Surface. What impressed me are the people who worked at the Microsoft Technology Center in Silicon Valley on my recent trip in July 2009. For the duration of the weeklong stay the hosts ensured that all our activities stayed within the scope of the business problem we defined on day one. And that's the key. The hosts took time to understand the business and concrete problems in the context of an end-to-end scenario. They adapted quickly to our team's terminology and collectively the whole team defined the agenda and measureable goals for the week. When iteratively defining architecture for a solution it's imperative to define a core scenario that represents the essence of the solution. Structure your scenario in such way that you can bolt-on complexity as discussion progresses. For a proof of concept solution that we built at Microsoft Labs we were able to see how various degrees of complexity could be addressed as solution concept evolved. These "complexities" can be classified as either constraints, functional requirements, or quality attributes. In our case the goal was to capture the overall wholeness of the solution at the expense of not implementing all organization's constraints and all desired quality attributes. However seeing all segments of a solution in action as part of an end-to-end scenario is a huge achievement itself. And that's worth the trip to a Microsoft Technology Center (in Silicon Valley). In any organization - large or small - we make assumptions about new people who join a project or an initiative. First impressions matter, and while first bad impressions can be reversed over time, it's better to start on the right foot. While this is not news to you, it's important to remember this. This is especially important for a person who aims to act like a Firebrand Architect® since such behavior and action may be perceived as negative and derailing. - When replying pause to allow others to respond before switching topics. If you hear (or feel) that others are trying to speak when they think you've reached the end - stop speaking. The behavior and actions above may not be automatic for every individual, but every person is programmed with these behaviors. Execution is a matter of desire and a healthy perspective on the big picture. Add this blog to your RSS / blog reader. Great blog post on recognizing the importance of the ever changing soft skills with respect to delivering technical solutions. Link. "This guide provides design-level guidance for the architecture and design of applications built on the .NET Framework. It focuses on the most common types of applications, partitioning application functionality into layers, components, and services, and walks through their key design characteristics.This guide is a collaborative effort between patterns & practices, product teams, and industry experts." It's a useful guide, but use with caution. At times the authors confuse the perspective. For example a "tier" is used interchangeably with a "layer." This is not correct since a tier is usually defined to exist in a run time perspective and a layer in a static perspective. All in all a very useful composition. Things are just getting worse for software architects. Relative stability of business models and computing paradigms of the 2000's has vanished. Making the right early design decisions has become very difficult. Keeping up with technical and operating environment complexity has become nearly impossible. Humans deal with complexity through abstraction. With rapid growth of complexity in the software architecture domain (both business and technical perspectives) we're now seeing divergence of software architect roles. It's not possible to be a great security architect, a great performance architect, and a great general software architect at the same time. Recently architects have been specializing, often not by choice, to fit the business domains and their operating environments. The important point is that a new breed of architect role needs to be officially recognized. It may be called a composer, orchestrator, manager, or a solution architect. In this role an architect would only be responsible for creating and maintaining the conceptual integrity of a solution. The conceptual integrity then needs to be maintained and managed in light of changing environment (new constraints, funding, requirements, policy, staff). This architect role would be responsible for making the right timely decisions as to when to bring in appropriate experts. Some may argue that this role exists now and it's the role of a software architect, but it's not possible for a single person to orchestrate the activities of other specialists and be responsible for technical structure of the whole solution. Over the past few years ( 2006 - 2009) a new trend has developed where more and more architects specialize in a specific area of quality attributes (e.g. security, performance, usability) and relive themselves of duty of the end-to-end solution ownership. There is no question that specialization is necessary to gain the appropriate level of technical depth to be effective, but who is left to be responsible for the conceptual integrity of a solution? Often this role is filled by someone who doesn't understand how specialists work together and how they must be integrated together. Yet this is a very important role, because in order for specialists to be effective their input must be appropriately timed. For example, when was the last time security was effectively retrofitted into an already existing solution? An orchestrating architect needs to recognize the need for a security specialist and then figure out when to incorporate that expertise into the project. This orchestrator role doesn't explicitly exists because organizations expect professionals to be either technical software architects (sometimes listed as senior software engineers in job advertisements) or project managers. The recognition for something in between doesn't exist. Successful projects have someone who maintains the end-to-end perspective. It's a challenging role as a person doing this is likely doing this along a set of other major responsibilities. As the complexity of our computational environments and the complexity of business solutions has expanded we need realize that in order for software architecture specialists to be effective their work needs to be thoughtfully orchestrated by someone who has time, resources, and authority to create and maintain the end-to-end conceptual integrity of a software solution. I "subscribe" to the general principles of the Software Engineering Institute's (SEI) software architecture paradigm. I apply various aspects of the approach in my day to day activities. If you're a fan of the SEI's work on software architecture you should consider going to their annual conference (May 4 - 7, 2009) to mingle with likeminded colleauges. Early bird registration is through March 31st. A 10% off coupon may be available if you're interested. Link to the conference site. Analysis paralysis is a common problem in the software requirements domain. Engineers or requirements analysts become overwhelmed with amount of information and get bogged down in details. Software architects face a similar problem. If an architects seeks perfection or the best solution for a given problem he or she may get bogged down in the details of various design alternatives. A more effective approach is to invest time in understanding the key architectural drivers - the requirements that have a profound effect on architecture (i.e. critical functional requirements, quality attributes, and constraints). By quantifying your requirements (e.g. by using quality attribute scenarios) an architect will be able guide your decision making process through various design alternatives. As Fred Brooks said - getting the conceptual integrity right is the most difficult, but the most important part of your job. To help you with this process you should use an iterative approach to developing architecture and participate early and vigorously in the requirements elicitation and analysis phase. Let the properly stated requirements shape your architecture and let the architecture shape your requirements. This is a very important topic I've been examining for a number of years. While my Ph.D. work on "the cost of organizational politics on software engineering" is many years away it's important to raise the awareness of this subject matter. Design choices in software architecture are often based on experience and human factors, but architects often don't recognize this. It's natural since most software architects came from the trenches of software development where programming activities are closer to the actual implementation and hence more structured. - Does your organization openly recognize design constraints? E.g. organization has made a commitment to J2EE platform for solutions of type X. - Is the effort of analyzing design alternatives, if exists, seriously considered when a design approach is selected? - Are you aware how you personally avoid, reduce, or promote organizational politics? Not all politics are detrimental. The political game can be played to promote the goodness of software architecture design and implementation process. It's good to admit that politics play a role in the design process. Actually it's healthy to admit so as it shows maturity of an organization or a team / person. Remember that you as an architect make conscious and unconscious decisions in your day to day activities that may be perceived by others as political decisions. To protect yourself from unintentional consequences be sure that your personal priorities do not become your team's agenda, else the team chemistry is going to change and you're not going to like the result. The leading providers of Cloud Computing services (IBM, Microsoft, Google, and Amazon ) gathered for a panel discussion at FOSE 2009 organized by Booz Allen Hamilton. - Standards have matured significantly over the past few years for both Software as a Service and Infrastructure as a Service. - Significant gains have been made with respect to interoperability, but until vendors develop a usable way to collaborate adoption will be difficult. - Trust will make or break clouds. Security is still a big issue - IPv6 will help. - Private clouds are likely to come first before commercial clouds become widely used. - A cloud provides substantial benefits when economy of scale is reached. - Any organization considering cloud computing needs to develop and understand its total cost of ownership (TCO). Cost standards are not mature. - Cloud Computing is not SOA. - Cloud Computing maturity level models are being developed (Booz Allen). - Demand for Cloud Computing has been established - there is a substantial market for the services. Cloud Computing is becoming a viable option for mainstream software solutions. What does this mean for a software architect? More design options, new design patterns, and greater solution flexibility. Cloud Computing will require substantial investment in education and experimentation in order to understand its limits and applicability to your business solutions. Booz Allen Hamilton held Cloud Computing Wargaming sessions at FOSE 2009 (March 10 - 12th 2009). This wargame simulates the thinking process and the choices IT decision makers have to make in real world as they develop organization's capabilities to meet business or mission challenges. The goal of the exercise is to get the players thinking about the tradeoffs between different computing resources, associated costs, risks, and resulting benefits. Cloud Computing is not a new concept, but with rapid progress of standards and maturity of technologies "on demand" computing has become a viable option for many organizations. During the 90 minute session a table competes against six other tables. The goal of the game is to collect Mission Value Points (MVPs). A team obtains MVPs upon successful completion of tasks. To complete a task a team must build a set of capabilities required to support a task. A capability can be built in "Traditional IT", "Hybrid Cloud", or "Commercial Cloud". Over the course of the game a team builds up a portfolio of tasks it has to support. Upon completion of each turn if a given task has been successfully supported with existing capabilities, then a team gets an established number of MVPs for that task. Players quick realize that in "Traditional IT" computing environment the invested resources cannot be rapidly re-allocated to meet challenges of new tasks. Moreover additional human resources are necessary to support "Traditional IT." Cloud Computing is not a cheap option and there is a resource barrier if a team chose to build their own cloud. Similarly with the "Commercial Cloud" a team would loose invested money and have less control of the services available through that offering. Watch Booz Allen Principal Rod Fontecilla comment on the essence of the game. Lessons learned from a croupier's perspective in a future post. How do quality attributes affect the architectural design of a software solution? If we only cared about the functional requirements of a software solution, then any architecture and any implementation would suffice. Further, how business goals drive architectural design? The topic of translating business goals into architectural drivers merits a separate post, however this article from the August 2007 edition of the Computer magazine (IEEE Computer Society) eloquently demonstrates how the architecture of a software solution changes as business goals are refined into quality attribute scenarios. Application of architectural patterns and refining tactics significantly alter the architecture of a software solution. In summary of chapter 5, The Work of an Architect, the author notes that "… this is not intended to be a definitive statement on how to architect. Architecture design is guided by the intuition and judgment of the architect. The purpose here is to provide principles and guidance for how tot think about decomposing a system, what to consider when decomposing the system, and how to capture key design choice and rationale." This chapter alone is worth the price of the book, Architecting Software Intensive Systems: A Practitioners Guide, as it proves invaluable guidance in a clear and concise manner. Make space on your bookshelf that's located closest to your desk. Buy this book. Use this book. Few practitioners have the level of depth and breadth necessary to eloquently capture and explain the practical aspects of the software architecture discipline. The author, Anthony J. Lattanze, explains the critical need for separating perspectives (static, dynamic, physical), explains architectural drivers, and provides guidance for architectural design. The rest of the book covers the Architecture Centric Design Method - a practical approach that you can use from concept initiation to solution sunset. This is my second year serving as the distance education instructor for Carnegie Mellon's Principles of Software Architecture course. The distance education course is aimed at working professionals and has the SEI Software Architecture paradigm as a backbone. The course is based on the same material taught in the Masters of Software Engineering program at the Carnegie Mellon by David Garlan and Anthony J. Lattanze. I spend time interacting with students through conference calls, class bulletin board, emails, and assignment grading. It's very interesting to see how professional software engineers and architects with many years of experience learn new ways of thinking and reasoning about software architecture. This experience offers me a unique perspective to see how people learn about a disciplined way of thinking about the art and science of software architecture. Experienced software engineering professionals who design and build non-trivial software systems as part of their day-to-day responsibilities have no major problems adopting to the SEI Software Architecture paradigm and other software architecture topics taught in the course. But what about those with little design experience? On the topic of architectural patterns, architectural styles, design patterns, and design in general the biggest problem is judging the scope and applicability of a given pattern or a style. When asked to indentify the most appropriate architectural style for a given system implementation students become confused. Would SOA be an appropriate style? Or may be the MVC pattern? But wait, a software system may be a heterogeneous composition of multiple patterns and styles. So how can there be a single overarching pattern? In other words the students with less experience appeared to have trouble focusing the lens (of the "right" answer) on the problem. Does this mean time and experience is the only way to become a better architect? Absolutely not. After taking this course the students who didn't have an ideal level of experience will look at every single software architecture challenge from a different perspective. They will question their decision and decisions of others. They will demand to understand why decisions are made one way or another. As they learn and experience different design patterns and architectural styles they will see get the "aha!" of the questions asked in the weekly homework reading questions. If you're just beginning to learn about software architecture please understand that it's a journey and not an event. While the Software Architecture course from Carnegie Mellon's School of Computer Science can make you think about software architecture in a disciplined way it will not make you an expert architect. Learn and read everything you can from diverse sources since it's still a maturing discipline. Take everything that you learn with a grain salt. Ask "why?" on major decisions and think like a firebrand™. Measuring complexity of business processes and software solutions that support them is a difficult task. Roger Sessions in his Simple Architectures for Complex Enterprises book provides an excellent math (logic) based approach for examining Enterprise Architecture complexity without getting into formal methods. The philosophy behind the approach is superb and refreshing. The chapter on technology approaches will be obsolete soon, but chapters 1 - 5 will be applicable for years to come. Has the time come for responsible software architecture and responsible software engineering? As a software architect how will you handle a new era of responsibility? When a "bus problem" becomes a reality it's critical to address the human needs first. This post does not provide guidance on how to deal with loss, but if you're in a leadership position you need to know how to appropriately respond or where to go for help. Ultimately if you hold a key position in your organization (e.g. reputable architect or a trusted advisor) you may be called upon to help right away. Your first order of business should be to get the software solution up and running by all means necessary. Be prepared to look at the source code, log files, incomplete documentation, conduct interviews with frustrated users. You will be looked upon as a savior whether you're ready or not, so you must be prepared to act like a Swiss army knife. In this situation the pressure is high and failure is not an option. - Create a plan of action. Write down everything you think you need to do. Use this list as a start. - Understand the business need and function of the solution. Bus problems usually don't occur on properly managed large scale solutions with a clear mission. There is a very good chance the solution affected by a bus problem supports informal business processes that you don't know about. - Learn everything you can about the solution. Seek people who may have worked on the previous version, seek hard copies of presentations and documentation if soft copies are not available. - Think about the technical aspects of the solution. Based on the technologies used and your experience with the application (if any) you may make some assumptions about architectural patterns used. But be careful assuming that the patterns are being used correctly. An opportunistic solution is very likely to have improperly used (or misused) architectural patterns or simply poor implementation. Hope for the best, but expect spaghetti code. - If you're not proficient with the technology used find a smart software engineer to work with you side-by-side. At this stage this person will be your partner - not a subordinate. - Be aware of the political landscape. If the solution in question was developed and managed by a different organization devise a strategy with your senior leadership to diplomatically address this issue. The organization owning a failed solution may be well aware that they were irresponsible by letting the affected solution operate in such manner. Think about an exit strategy for the responsible organization to gracefully "save face." - Write a short draft proposal (1 or 2 pages) of how the broken solution should evolve into a mature environment so that it can be supported by your organization's IT. You will have ideas as soon as you start looking at this problem so you may as well write them down from the perspective of your organization's computing infrastructure. This is not a complete list, but it will help you handle the knee jerk reaction you may be expected to perform. Act quickly, but systematically. Understand the business value of the solution that's hidden from the official view, get the solution up and running immediately by using whatever it takes approach, rapidly evaluate near term needs, and think about the long term needs. You may want to bookmark this post so that you can find it quickly in the time of need.